Pharmaceutical Folding Projects - Flottman Company. Flottman Company designs, prints and folds a variety of miniature inserts. 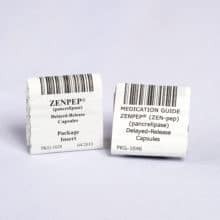 With in-process controls, quality assurance, product segmentation and internal audits demanded by our pharmaceutical environment, you can count on us to produce top-quality products. 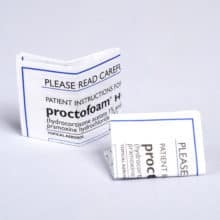 Our miniature printing for pharmaceutical folding can be one-sided or two-sided, black and white or color. Our maximum flat sheet size is 28” x 40” and our various folding patterns can fold to as small as 0.5″. 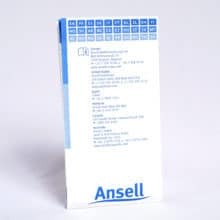 We produce a broad range of instructional, preparational and utilization sheets for the medical device market. 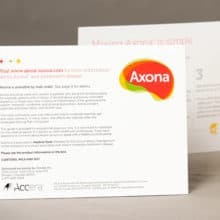 We create medical leaflets with side effects, usage and prescribing information for the pharmaceutical market. Most recently we have expanded our reach, capacity and capabilities to include the nutraceutical market as well. The variety of verticals we serve makes our commercial folded printing applicable to many markets. 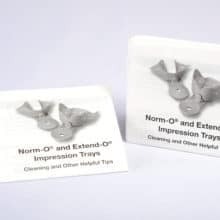 Your miniature folded insert can be attached to your packaging, your bottle or simply placed inside the folding carton. These inserts are delivered either for hand or inline machine insertion. Our miniature printed components can assist you in reducing packaging weight and costs while still providing the needed space for all the required and desired content. Consider adding our security options when producing your miniature folding components. We can barcode, 2D code and serialize your entire print run. With our SecuRxperts solutions we can even provide an invisible ink option that is only detectable by ultraviolet light, all in an effort to reduce the potential for counterfeiting.